This is an encore episode that aired originally on March 8, 2014. One of the most notable was the video for Evian Water. Evian, three times more expensive than most competitors, was losing market share to cheaper bottled waters. So a hilarious video called Roller Babies was shot in 2009. It featured babies pulling off jaw-dropping dance moves on roller skates to the song Rapper's Delight by the Sugarhill Gang. The tagline was: "Live Young." While Roller Babies had a TV version, it went viral as a video. It broke the Guinness Book of World Records for the most viewed viral film ever – with 66 million YouTube views and over 170 million online views. Yet, with that incredible viral success, the Business Insider news website reported that Evian's sales went down. And the Daily Mail reported that Evian's share of the bottled water market was just 0.3 per cent, down from 1.2 per cent a decade earlier. I suspect those two widely viewed videos managed to stop Evian's decline, but clearly, even wild viral success doesn't always translate into wild sales success. One of the ways advertisers try to get a video to go viral is to be bold and outrageous. Nivea tried that tactic recently with a video called "The Stress Test." In a German airport, Nivea ambushed a series of people in the waiting areas. The Nivea staff hid behind a wall, picked out specific passengers, and secretly took their picture. Then, using digital technology and remarkably quick response time, they printed a fake newspaper with the passenger's picture on the front page with a headline saying they were a wanted criminal. In one instance, a Nivea staff member sat across from a young female passenger and casually read the fake newspaper. 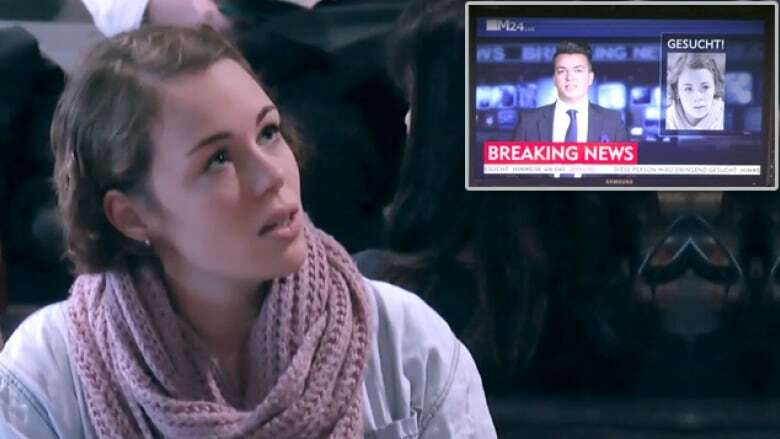 The second the girl spotted her wanted face on the newspaper, a fake news story appeared on television sets in the waiting area, showing the same picture, and describing the fugitive passenger perfectly. The victim's panic grows with each passing moment, and other passengers begin to point and stare. Then the German authorities walk up to her. The passenger, almost beside herself, can barely speak. At that exact moment, the authorities ask if she is "stressed" - and open a case they are carrying, containing Nivea Stress Protect deodorant, to keep you dry when you're stressed. The girl, realizing it was all just a prank, sits there awash in relief. The prank video went viral immediately, and has amassed over 7 million views to date. But it was controversial, as many asked if it went too far. Did it abuse the public? Was a line crossed just to chase viral success? In the video, the sketch artist asks women he cannot see to describe themselves, and draws a portrait based on what they say. Then strangers are asked to describe the same women who they had just met in the lobby, and the sketch artist draws those pictures. When the two portraits are shown to the original women, they sees the one described by themselves is plain and unattractive, but the one described by strangers is positive and nice looking. The video made the point that only 4% of the women around the world consider themselves beautiful. And that women are more beautiful than they think. The Dove Sketch Artist videos were an immediate viral sensation. More than 30 million viewed the video in the first ten days. The video also stirred up a lot of debate, with many people disliking the implied importance put on looks. But many more felt it made a critical point about self-esteem. According to reports, the video has overtaken Evian Roller Babies as the most viewed viral video in history.